I've always wanted to make cauliflower rice but for some reason I thought it would be too time consuming. Well, I was wrong. Very wrong. 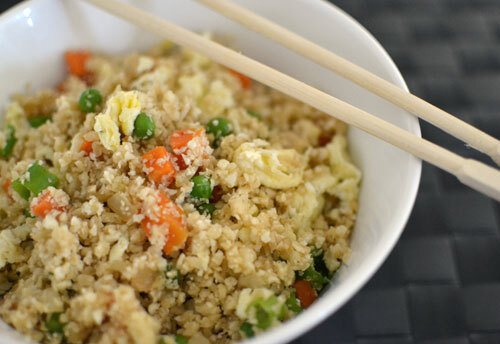 Turning cauliflower into rice literally takes about 3 seconds thanks to this super easy tutorial. 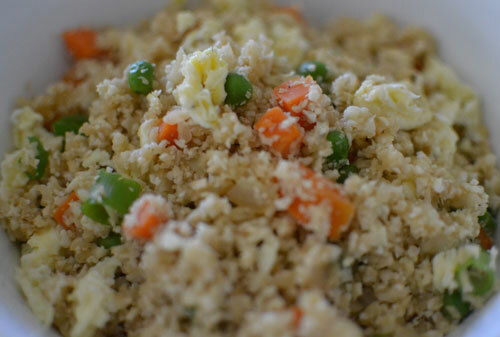 I found this recipe for cauliflower fried rice and let me tell you, it's GOOD. Really good. 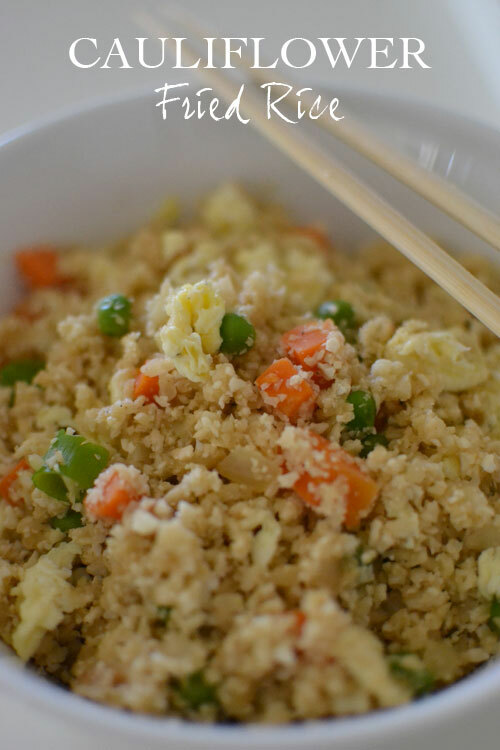 So the next time you have a craving for fried rice, I highly recommend passing on take out and giving this super healthy version a try! Add the eggs and scramble. Set aside. 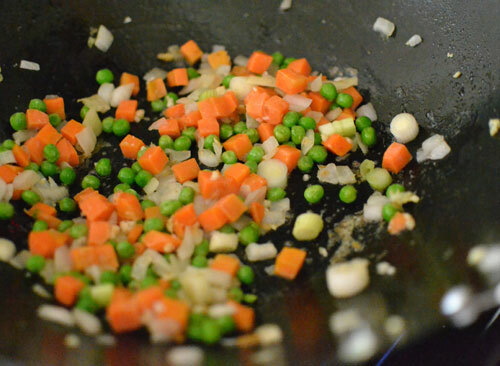 Add the sesame oil and saute onions, scallion whites, peas and carrots and garlic about 3 to 4 minutes, or until soft. Raise the heat to medium-high. 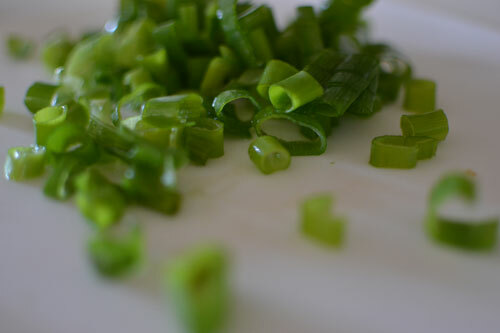 Add the cauliflower "rice" to the saute pan along with soy sauce. 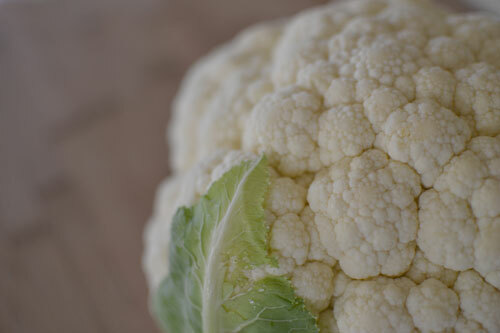 Mix, cover and cook approximately 5 to 6 minutes, stirring frequently, until the cauliflower is slightly crispy on the outside but tender on the inside.